The global essential oils market has grown steadily in the last few years. The market size is projected to reach USD 11.19 Billion by 2022, at a CAGR of 8.83% from 2017 to 2022. The shifting trend towards preventive healthcare, coupled with improved standard of living among consumers, are the major factors driving the essential oils market. The report “Essential Oils Market by Product Type (Orange, Lemon, Lime, Peppermint, Citronella, Jasmine), Method of Extraction, Application (Food & Beverage, Cosmetics & Toiletries, Aromatherapy, Home Care, Health Care), and Region – Global Forecast to 2022”, The essential oils market is projected to reach USD 11.19 Billion by 2022 growing at a CAGR of 8.83% from 2017 to 2022. The market is driven by economic factors such as rising double income households and increasing disposable incomes among consumers. Moreover, growing research & development activities and increased demand from food & beverage and cosmetic applications are also driving the market. Essential oils are volatile liquid substances extracted from aromatic plant material by different types of extraction methods. They have potent antioxidant and anti-microbial properties and can be used to treat depression and stress-related diseases. Different types of essential oils used in aromatherapy include tea tree oil, jasmine oil, rosemary oil, and lavender oil. These oils are used in massage therapies, acupuncture, and topical care. Changing lifestyles and their consequences, such as high stress and depression, along with increasing disposable incomes, result in an increase in demand for aromatherapy. Distillation is the process of separating components of a mixture by evaporating and then condensing the vapor into liquid. It is a technique which is slightly volatile, where the water-insoluble substances are separated from nonvolatile materials by means of distillation. Different types of distillation methods are used such as water distillation, water & steam distillation, and steam distillation for extraction of oils. Distillation is one of the primary methods used for extraction in essential oil industries. This report includes a study of marketing and development strategies, along with the product portfolio of leading companies. It includes the profiles of leading companies such as Cargill (U.S.), E.I. du Pont de Nemours and Company (U.S.), Koninklijke DSM N.V. (Netherlands), and Givaudan SA (Switzerland). Category: Market Research Publishers and RetailersCompany profile: MarketsandMarkets™ provides quantified B2B research on 30,000 high growth niche opportunities/threats which will impact 70% to 80% of worldwide companies’ revenues. Currently servicing 5000 customers worldwide including 80% of global Fortune 1000 companies as clients.&nbsp;Almost 75,000 top officers across eight industries worldwide approach MarketsandMarkets™ for their painpoints around revenues decisions. 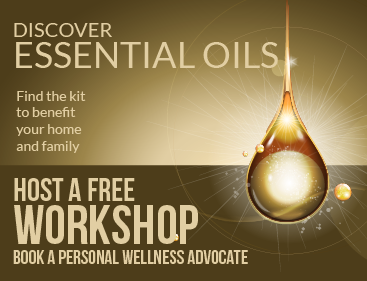 Smorgasbord Medicine Woman’s Treasure Chest – Essential Oils and Aromatherapy – An introduction.